Let's be honest—you're gonna watch whether you like it or not. Credit: Getty Images / "Dmytro Aksonov"
Earlier this week, it dawned on me that I had no plans for the Super Bowl this year. Worse, I don't pay for cable, so I had no idea how to watch it without crashing my neighbor's apartment. Now, I'm no football fan, but the thought of missing out on all of the ballyhoo made me oddly anxious. What would I do instead, I wondered, if not plant myself on the couch, eat trash, and gawk at the America's favorite sporting event? Was I seriously going to forgo the tawdry spectacle of the sure-to-be talked-about Halftime Show in favor of some other Sunday night activity, like reading a book or eating vegetables? What kind of monster would I be if I turned down the opportunity to enjoy four, perhaps five vaguely controversial TV commercials? I mean, just imagine the amount of water cooler moments I'd be missing! The water cooler moments! And so, I will watch this overlong, overstuffed event and I'll watch it the proper way: by tweeting glib jokes and covering myself in a thin layer of melted cheese. I've done a ton of research on how to watch this thing without a cable subscription, and now, reader, I share those findings with you. 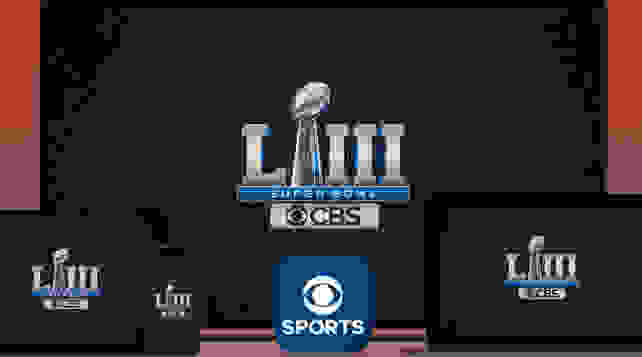 The easiest way to catch all of the bone-crackin', heart-poundin', presumably-Taco-Bell-sponsored action of The Big Game is to watch it live via CBS Sports' official Super Bowl stream. 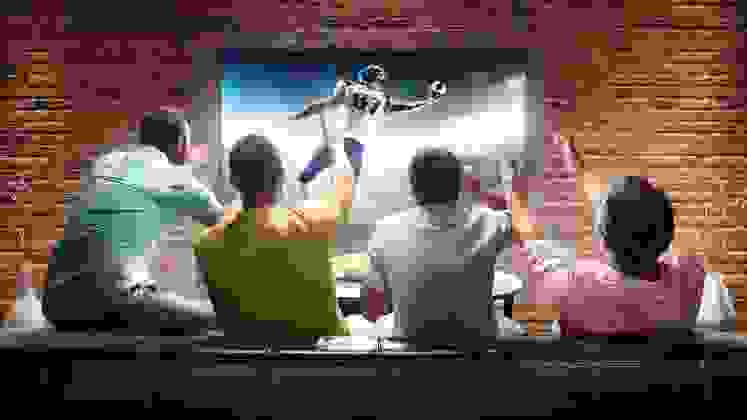 The web broadcast is free to access, and if you have a Chromecast or screen-mirroring device, you can throw the picture up on your living room TV, dutifully fulfilling your requirement to watch every single second of the Super Bowl whether you like it or not. The official CBS Sports app will also be carrying the stream, so if you're stuck using a mobile device, the app is probably your best bet. The Super Bowl will be broadcast on the CBS Sports website and via the CBS Sports App. You can also sign up for CBS All Access and watch on supported devices. Alternatively, if you don't have the option to cast the CBS Sports stream or you think downloading more apps is a serious bummer (and I feel you on that one), you can start a free trial for CBS's content platform, CBS All Access. This service is available on Apple TV, Xbox One, PS4, Roku, and several smart TV platforms. Here's a full list of devices that support CBS All Access. It starts at around $6 a month, but if you sign up now, you'll have a one-week trial that you can either keep or cancel after football's biggest night. It might be a little late to buy an over-the-air antenna online, but check your local store for an HD antenna if you don't already own one. They're incredibly affordable, easy to set up, and provide access to several free-to-air networks, including CBS, FOX, NBC, and ABC. If you have a relatively new TV, it's almost guaranteed that you have the proper input for an OTA antenna. To take a peek at the free channels in your area, head over to AntennaWeb.org. If you're one of the millions of people who's cut the cord and ditched the cable box, you may already be signed up for a streaming service that offers local TV channels. YouTube TV, for example, carries all of the network television usual suspects: CBS, NBC, ABC, and FOX. If you have a Hulu account, there's a good chance you already have access to several of your region's local network affiliates, too. You may already be signed up for a streaming service that offers local TV channels. If you don't have an account with either of these platforms, why not sign up for a free trial? A limited time, two-week free trial of YouTube TV or a one-month free trial of Hulu will grant you sweet, sweet Super Bowl access. Just remember to cancel these services before the trial runs out, lest you be charged a fee. Additionally, folks who use Sony's internet TV service Playstation Vue will probably be able to stream the game this Sunday night, but not every Playstation Vue customer is covered. To learn what this means for you, check out what Sony has to say about the availabilty of CBS on Playstation Vue.